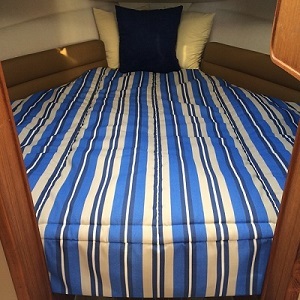 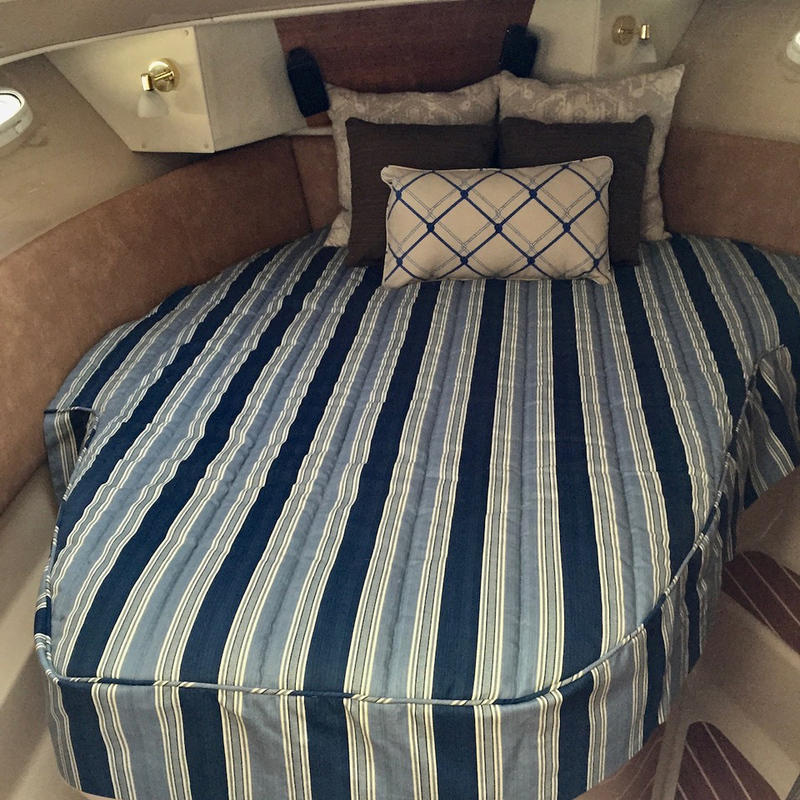 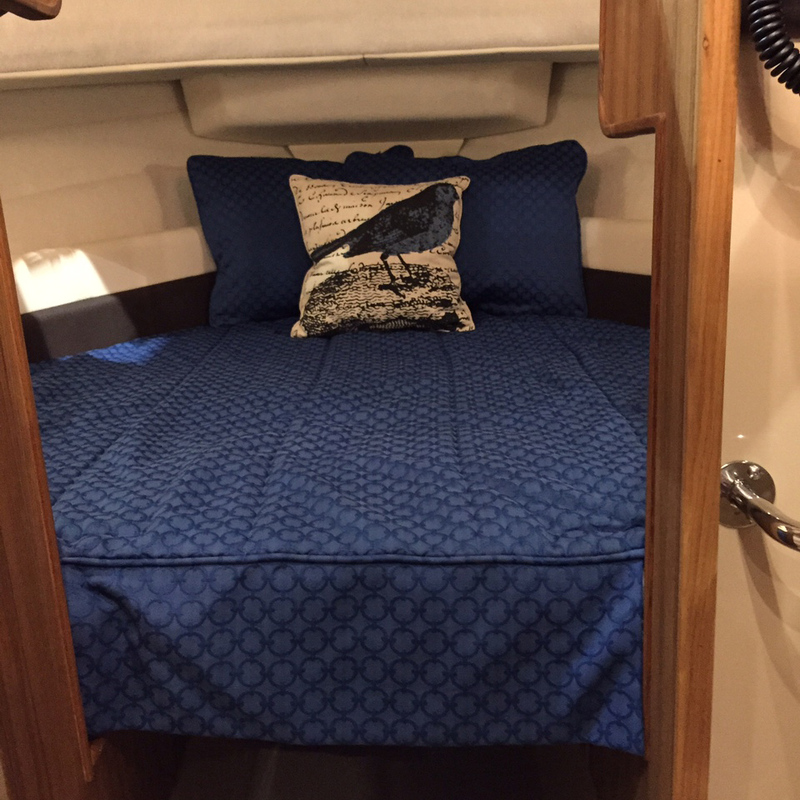 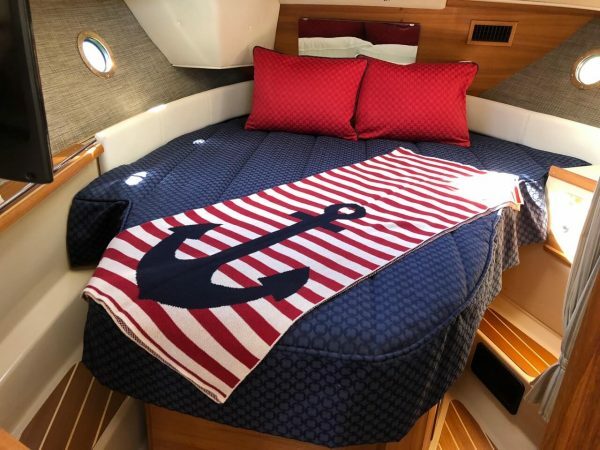 Our Topper System was designed to increase comfort, make the task of making the bed easier and keep your boat looking ship shape. 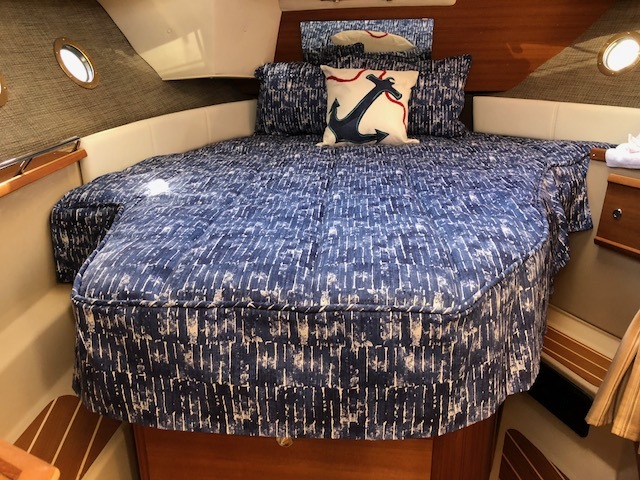 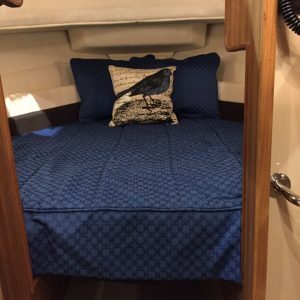 Our 3″ topper will sit directly on your existing cushions, our custom sheet set will fit onto the topper and the custom quilted bedspread will lay right on top. Making your bed in now a breeze!